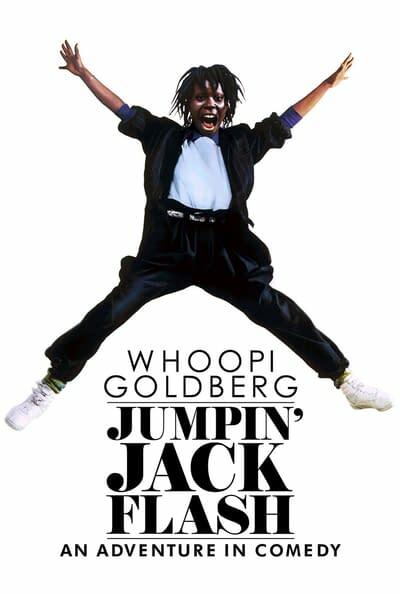 Terry Doolittle (Whoopi Goldberg) is a bright young woman with a dull job. Day after day she sits behind a computer in the international money transfer department of a large bank. Terry breaks up the monotony of transferring money by punctuating her transactions with more personal communications. She trades bootleg Springsteen tapes with her London correspondent; to another in Japan, she sends a recipe for Yankee pot roast; to yet another in France, advice on how to manage his busy love life. And on the other side of the world, someone is listening!One day Terry receives an urgent plea on her computer screen encoded "from Jumpin' Jack Flash." She discovers that the sender of the message is a British operative trapped in the Eastern Bloc. Intrigued by the possibility of some excitement and romance in her life, Terry embarks on a rescue mission, leading to a series of comedic hair-raising adventures in which she tangles with both CIA and KGB spies.